Interracial dating was once the forbidden topic, so forbidden that it was not only not an option, it simply was not discussed, either. In fact, even in the late 1950s, less than 5% of Americans approved of interracial marriage and even fewer of interracial dating UK, though it can be assumed that even fewer acted upon this approval during such a time of civil rights and, essentially, civil unrest. It was impossible to marry legally, actually, until the 1967 Loving vs. Virginia Supreme Court Case overturned laws preventing interracial marriage. Thankfully, times continue to change, and to date, the approval rating of relationships of mixed race or cultures has risen to almost 90% acceptance. 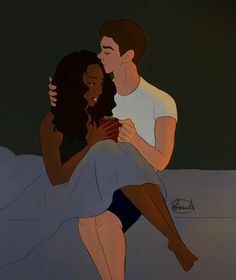 In fact, in 2012 over 15% of American marriages were considered interracial, but this statistic does not take into account relationships that do not or have not ended in marriage. The rise in specifically African American-white marriages in numbers has risen from 65,000 in the 1970s to almost 400,000 thirty years later. A National Survey of Family Growth completed in 2002 offers evidence that divorce rates for interracial marriage couples are equal to those of same race couples, though this is much different than the statistics in the 1980s. At that time, the divorce rate was much higher, indicating that as national, cultural, and familial acceptance rises over the years, so does the possibility for a sustainable and beneficial committed interracial marriage. Where people live, for example, has a dramatic impact on the longevity or success of interracial relationships. Comparing the West to the Midwest drives home this point. In 2008, only 11% of marriages in the Midwest were interracial or even interethnic. However, that same year, almost 22% of marriages in the West were considered as such. This does not mean that living in the Midwest spells doom for an interracial couple, but instead acts as an indicator of where more challenges may arise. Some argue that interracial dating, and thus possibly marriage as well, cannot end positively. Statistics disagree, especially when it comes to income. A Pew Research Trends report found that the highest earning newlyweds, compare to other couples of same and different races and cultures, were married couples of white and Asian, together earning a median average of $71,000, and in the middle of the income span are white and Hispanic couples at $57,000, whereas a Hispanic only married couple, for instance averages at $36,000. The facts may lead one to conclude that interracial or interethnic dating can be financially beneficial as well. Though overall national approval has risen, and there appear to be financial benefits at least for some interracial couples, many who date outside their race or culture find themselves amidst objections of family or even rejections of friends. Some may fear that, even in this modern age, embracing someone who does not look like you or have your same background will not embrace your heritage, culture, and traditions or that you may not understand theirs. Some family or friends may see this dating as an act of disloyalty against your culture or heritage, and seemingly take it personally. Respond with patience and class, knowing that forcing others to see things your way is near impossible. It was only 40 years ago that interracial marriage was legalized in the United States, and while interracial dating and marriage is increasing dramatically, it will take time before even more people are accepting of such dating choices. i want a black girl, so bad.